The VW Caddy van light commercial vehicle is very much what the European ‘sub-minivan’ concept is about. For a long time, the accepted wisdom in Australian road transport was that bigger was always better. That attitude began to change as urban roads, particularly in the inner city, became more congested. It was around this time the European concept of a 'sub-minivan' began to grow in popularity and several manufacturers brought these little haulers to our shores. Operator reaction was mixed. Some couriers saw them as a great innovation but large fleets were not quite as keen on them. Instead they adopted a 'wait and see' attitude to decide if they were a passing fad or here to stay. 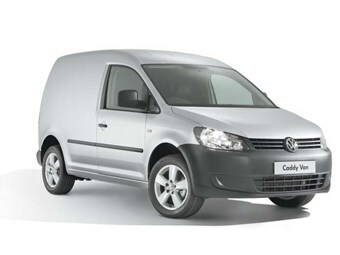 It was into this scenario that Volkswagen brought out its VW Caddy van in 2004, initially as a short-wheelbase model. It was followed by the Maxi, a longer wheelbase version, in 2008. After six years of building a loyal clientele and consolidating the market for small vans, Volkswagen is updating the Caddy range with a new model that also introduces Euro 5 technology to this segment. The new model will only be the second Caddy update sold in Australia, but Volkswagen Commercial Vehicles Product Manager Phil West says the vehicle is actually in its fourth generation. Volkswagen has made many improvements, including to safety, as part of the model update. The most noticeable of course are to the front sheet metal, the Caddy now showcases, West says, its "family DNA" (the well known Volkswagen Touareg is a relative that comes to mind). From the A-pillar forward, the Caddy is all new. Particularly noticeable are the new headlights, the essential design of which is now similar across Volkswagen's range. The goal of the overall frontal design was to create a single unit with the headlights and radiator grille, with the horizontal lines of the grille flowing into the headlight assemblies. The lower bumper area has also been revised. It now includes a foglight with the optional 'turning light' assembly that activates when the vehicle corners to illuminate what is around the corner. Volkswagen designers have also removed the roof aerial and incorporated it into the door mirror, the reduction in overall height is good news for operators delivering to confined spaces. 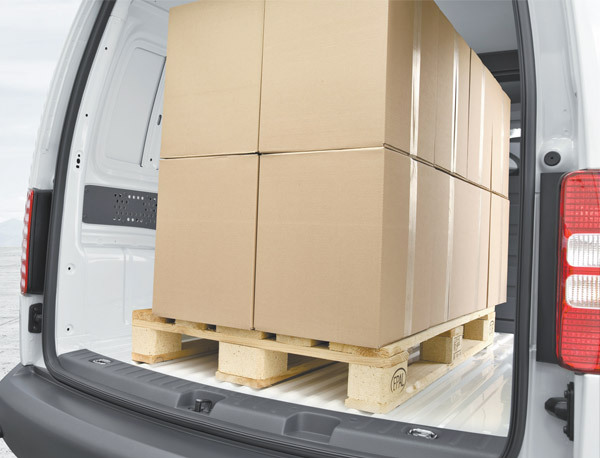 The Caddy load area remains unchanged, with a capacity of 4.2 cubic-metres for the flat-floor Caddy Maxi. Also winning friends is the decision to retain the swing-out 'barn doors' at the rear as a standard feature on all Australian models. The lift-up tailgate that is standard in other markets is available as a no-cost option for local buyers. Given its stated purpose of operating in congested areas with limited access, Volkswagen has made twin sliding doors standard for the long wheelbase Caddy Maxi (they are a $690 option on the short version). The third door is a definite boon in one-way streets or the tight back alleys of Sydney and Melbourne. Operators can simply pull up on either side of the street and quickly load and unload. The remote central locking is also welcome for urban operations. It allows drivers to ensure the load is secure while they are away from the vehicle, yet with a push of a button they can access the cargo. The Caddy also offers a standard auto-locking function when driving. Locking the doors with a solid 'thunk', it prevents the doors from flying open in an accident. The other significant change for the new series are the engines. The previous 'Pumpe Duse', or unit injector, diesel engines have been replaced by 1.6- and 2.0-litre turbo-diesels with common rail direct injection. There is also a 1.2-litre turbocharged direct injection petrol engine available. All three engines meet the latest Euro 5 emission control regulations that come into force on January 1, 2011, as part of the introduction of ADR 80/03 rules. The Caddy offers three transmission choices. The 1.2-litre petrol is backed by a five-speed manual. The manual is also offered with the TDI250 1.6-litre engine which also can have a 7-speed DSG automated manual transmission. The 2.0-litre TDI320 engine receives a 6-speed DSG. Operator safety is also high on the Volkswagen 'to do' list. The Caddy offers dual front airbags as standard along. Head and thorax airbags are optional on each model. Allied with the airbags are an Army-surplus list of acronyms for braking assist packages, starting with ABS and progressing to ESP, ASR, MSR, EDL and a Hill Holder function that is particularly handy on the DSG-equipped versions. West says Volkswagen is the only manufacturer to offer ESP as standard in the mini-van market. This could well prove to be a selling point with fleet operators looking to provide staff with the safest possible working environment. Also optional on the Caddy is the rear Park Distance Control, which, for operators constantly in and out of parking spaces with restricted access, could prove to be a boon - it adds $590 to the price tag, a lot cheaper than repairing the after-effects of attempting to park by Braille. The integrated RNS510 satellite navigation system, which includes a four-speaker stereo system and a useful multi-function display that also provides vehicle management system readouts, is a quality unit. Most fleets, however, will probably opt for a portable GPS unit that can be moved between vehicles. Volkswagen, recognising most operators will take advantage of the body's cubic capacity rather than total weight, has specced the payload of the Caddy at between 700 and 850kg - depending on version. With such small payloads the relatively low power outputs are nothing to be concerned about. The healthy torque-to-weight figures of the various engines ensure reasonable performance in what will usually be heavy traffic running. While the launch program did not really offer any extended driving sessions, the 1.6-litre with five-speed manual proved to be a capable performer, even with a few hundred kilograms on board. The diesel has plenty of torque. The engine happy to lug all the way from 60km/h to 100km/h in top gear on a curving uphill road. It would have been a quicker climb to drop a cog or two but there was no pressing need. The Caddy felt equally at home battling the suburban traffic on the backroads from Mt White all the way to Sydney's Middle Head and the former School of Artillery overlooking the main expanse of Sydney Harbour. The drive also included driver changes, giving a perspective from either side of the cab. The cabin has comfortable seating and plenty of leg and shoulder room, even for a pair of king-size Queenslanders sharing the driving. The manual transmission provided a succession of short, sharp and precise shifts aided by a well-weighted shift mechanism and a lightly sprung clutch. Even in heavy traffic the driver does not suffer a case of 'clutch cramp' from constant pushing against a too-heavy mechanism. The ratios make the most of the available torque, allowing the driver to hold a gear from as low as 1,200rpm right through to the indicated maximum revs without stuttering. Swapping into the seven-speed 250TDI gave another taste test of just how enjoyable light commercials can be. It has a torquey, impressively quiet engine and a seemingly endless supply of gears to choose from. For a first timer, the DSG can be a little disconcerting. It looks like an automatic but provides all the enjoyment, and benefits, of a manual. Although the Caddy was running with only a small load in the back, the performance was enough to raise eyebrows. The optional cruise control also came in very handy. Even leaving the transmission in the (relatively) docile 'Drive' mode saw the Caddy making lightning getaways whenever the throttle was pushed, before it shuffled up toward top gear as the throttle pressure was released. With seven forward ratios to choose from, mid-range torque became a thing to revel in, regardless of the current gear. A quick jab to the accelerator was enough to stimulate a downshift and the accompanying burst of speed needed to weave through heavy city traffic. Equally, once on a motorway, the transmission went to the overdriven seventh gear as quickly as possible, so delivering maximum speed for minimum fuel burn. Even having seven gears was not enough to confuse the selector. Not once did it miss a gear. Every shift was fast, taking roughly a heartbeat to execute, and accurate - there was no grinding, graunching or gnashing of teeth. Unlike the heavier segments of road transport, the light-duty van market remains healthy. Volkswagen is doing very well courtesy of quality offerings like the Transporter and now the revamped Caddy. Like many new offerings, Volkswagen had to first create awareness of the niche and then show that it had the product to meet the need it had just identified to potential operators. 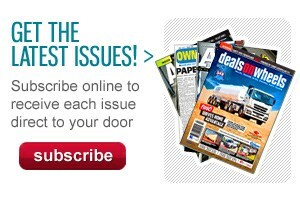 While the Caddy is not likely to become Australia's top-selling van, it has got an important role to play. That role is likely to become even more important as traffic authorities seek to limit the size of vehicles operating in the inner-city. Certainly, the new model has the makings of a contender for 'top-of-the-class' honours. But just as certain will be the response from other European manufacturers as they update their offerings. 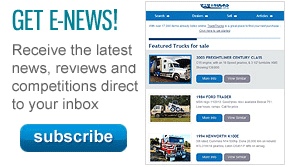 Find Volkswagen trucks for sale. Search for new Volkswagen specs.